The National Science and Technology Development Agency (NSTDA) has signed a memorandum of understanding with nine technology universities to produce engineers and technicians for the Eastern Economic Corridor (EEC). Pirated goods will be wiped out from six locations in the country in the next month, Intellectual Property Department (IPD) director-general Thosapone Dansuputra has vowed. The Digital Economy Promotion Agency (DEPA) says it has been successful in helping local businesses adapt to the digital era. E-commerce, the online trading phenomenon breaching global boundaries, has enabled companies and even individual vendors to increasingly engage in transactions with customers without any of the contacts traditionally associated with sales of goods and services. The Deputy Prime Minister for Economic Affairs has explained that Section 44 of the Interim Constitution must be utilized to speed up the Thai-Chinese Rail Project due to its long delay. Thailand’s move to control foreign over-the-top content (OTT) service providers by making them set up local entities is putting the government on rocky ground as there are no legal provisions for this, legal experts said this week. Prime Minster Gen Prayut Chan-o-cha has instructed every local government office to assist Thai farmers in their efforts to incorporate large-scale farming techniques. A former abbot of a temple in Lampang that was accused of being involved in the temple finance scam has revealed details about how the fraud is carried out. A Patong raid led to half a million baht’s worth of pirated goods being seized from 19 shops this morning. The arrest of three Chinese nationals in last week’s crackdown on a skimmer gang suggests such gangs are no longer mainly formed of Europeans. 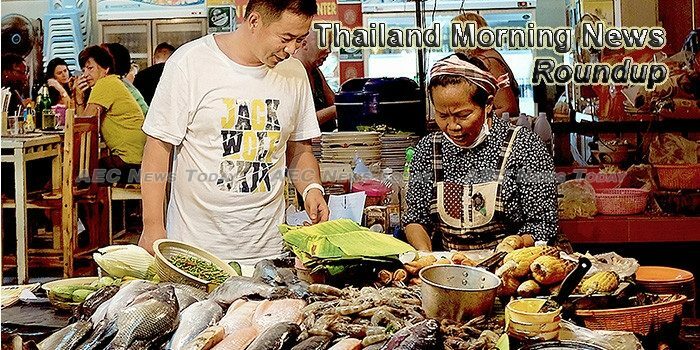 The Tourism and Sports Ministry and the China National Tourism Administration (CNTA) agreed to set up a working group to exchange information in order to crack down on illegal tour companies of the two countries. The National Reform Steering Assembly (NRSA) will review four reports when it reconvenes on Monday. Samut Prakan Province is running a campaign against styrofoam food container use, out of health concerns.